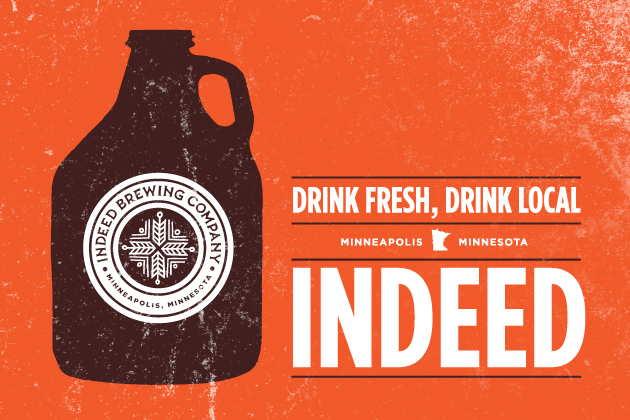 As a result of the progress made during the last legislative session, Indeed Brewing is selling growlers. Indeed never intended to sell growlers because they planned on meeting the 3,500 bbl limited very early early on in their production plans. Thanks to the Save the Growler movement effort organized by the Minnesota Brewer’s Association, the 3,500 bbls limit has been upped to 20,000 bbls. Matt Schwandt covered the issue here in Minnesota Growlers Saved For Some, For Now. Now, If we could fix the universal branding issue, we can leave the growler rules alone for a while.